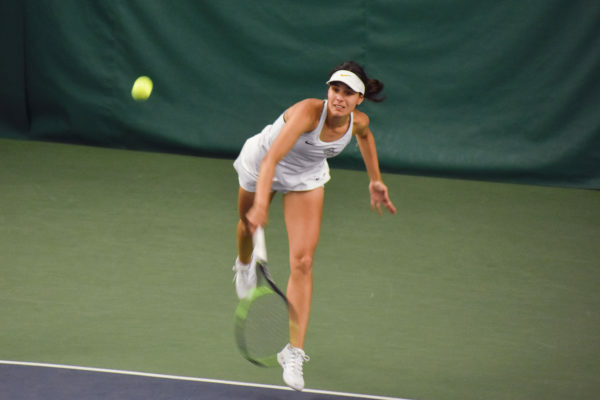 The GW women’s tennis team lost a decisive doubles match in Sunday’s match against Georgetown and fell to the host Hoyas 5-4. Sophomore Lisa Borromeo won both her singles and doubles match, but the team’s loss prevented the Colonials from sweeping their matches this weekend. Georgetown was a real thriller, and both teams competed well, said head coach Jeanne Gengler-Swiacki. 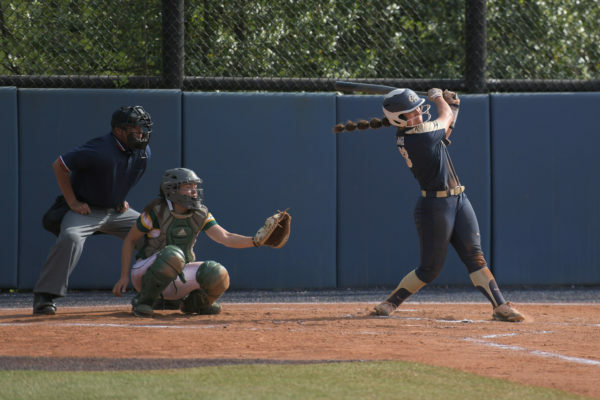 GW defeated Mount St. Mary’s College 9-0 at the Mount Vernon campus Saturday. Host St. Bonaventure defeated the GW men’s tennis team 5-2 Saturday at the Tripodi Fitness Center. GW’s Kevin Wright lost a close match to freshman Vili Nurmi 5-7, 4-6 at first singles and Mike Stein lost 0-6, 4-6 at the Colonials’ second singles. The GW golf team finished 15th out of 19 teams in this weekend’s United States Naval Academy Spring Invitational in Annapolis, Md. The second round of the two-round invitational was rained out, forcing the 15th-place finish. The Colonials will compete in the Atlantic 10 Tournament next weekend at the Southpointe Golf Course in Pittsburgh. The team finished in third place last year. The GW women’s soccer team announced four new additions to next year’s squad. The Colonials signed midfielder Nicole D’Hondt (Grosse Pointe, Mich), forward Colleen Ragan (Coatesville, Pa), defender Caite Terranova (Ridgefield, Conn) and midfielder Meggan Eckert (Scottsdale, Ariz), who earned the Northwest region Player of the Year honors in the 1999 high school season. You’re dealing with athletes that you hope can step right in and play, said first-year head coach Tanya Vogel, according to a University press release. Vogel, a member of GW’s 1996 NCAA team, enters her first year as head coach replacing Michele Rodriguez-Smith.